There is something special about Öland. It has countless bird species not found anywhere else in Sweden, and the barren landscape is the complete opposite of Småland’s mainland in the west. Sweden’s smallest province is also the most characteristic. 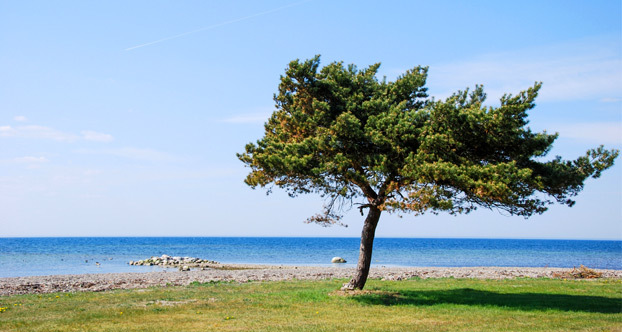 The best way to explore Öland is of course by staying at a campsite right in the heart of nature. 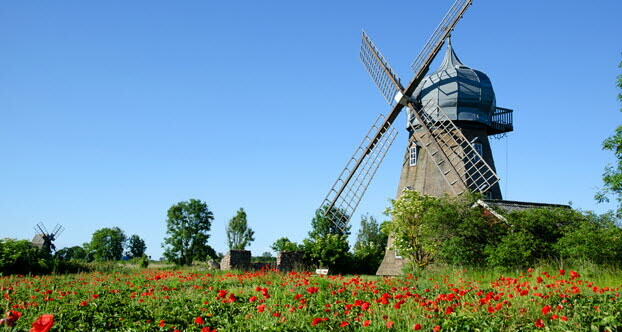 Öland, Sweden’s second biggest island, is also called the island of sun and the island of windmills. It’s easy to get to from the mainland via the Öland Bridge. The Swedish royal family’s summer paradise Solliden Palace is on Öland. In the summer, the palace park is open to the public. You can book a guided tour or wander around on your own. Crown Princess Victoria celebrates her birthday here every year on 14 July. The sea is ever present on Öland, and if you’d like to look out over the sea and the island, the lighthouse Långe Erik offers fantastic views. The 32 metre tall lighthouse is located at the far end of Öland’s northernmost point. Öland has many shallow beaches and you’re never far from somewhere to swim. The island is also popular with wind- and kite surfers: as it is so narrow it’s never far to where the wind is at its best. Öland has many cycleways and footpaths. The longest, Ölandsleden, winds its way round the 130 km long island. If you go to the southern part of the island, you will find the barren and beautiful World Heritage nature area Stora Alvaret. Öland’s nature also attracts many rare birds, which has made Öland and eldorado for birdwatchers. The only city on Öland is Borgholm, which is bustling in the summer. From Borgholm it’s not far to Borgholm Castle just south of the city. It is a beautiful ruined castle with exhibitions on the history of the castle. Visitors can walk around the state rooms and take in the history. 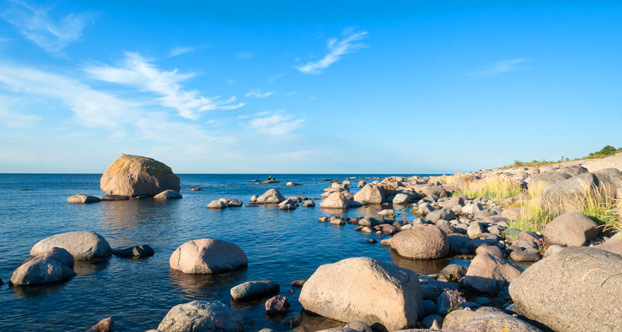 Öland came in 20th place when the international travel magazine Condé Nast Traveler’s readers voted on the world’s most beautiful islands in 2014. Eketorp fortress, a reconstructed ancient fortress where you can experience a living Iron Age and Middle Ages and take part in the activities and crafts that are run daily. Öland’s harvest festival is celebrated in September every year, and the shops, farm shops, restaurants and cafés sell and serve freshly harvested and processed delicacies.